This is the research and laboratory website of Dr. Radha Ayyagari. Our laboratory is based at the Shiley Eye Institute at UCSD. We use molecular genetics and cell biology approaches to understand the mechanisms involved in causing inherited retinal and macular dystrophies. We study early and late-onset retinal/macular degenerations with Mendelian and complex patterns of inheritance. 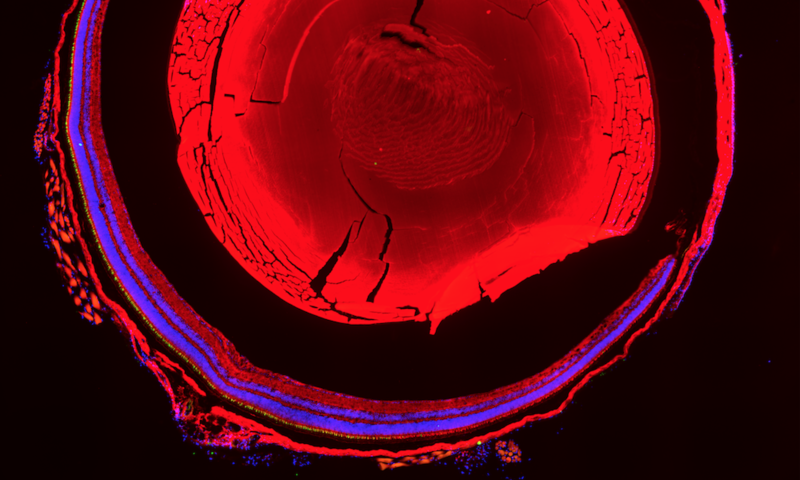 Our research strategy involves identifying mutations in novel genes causing inherited retinal degenerations, understanding the function of these genes, determining the pathways that are involved in causing disease pathology and evaluating novel therapeutic interventions to delay the onset or treat the progression of degeneration. We study patients and naturally occurring animal models with inherited retinal disease to identify novel, disease-associated genes using whole genome or exome analysis methodologies. Functional analysis and evaluation of therapies is carried out using cell culture and genetically engineered animal models.